Mountain Heart Releases "Blue Skies"
Nashville, TN May 6th, 2016 — Available today on Compass Records, Mountain Heart returns with Blue Skies, their first studio album in five years. The same soulfulness that gave the band its name in the first place is still there, but now voiced through a blend of musicians that make room not just for their bluegrass legacy, but also singer/songwriter ballads, classic country, R&B, and modern folk pop. Read more about Mountain Heart Releases "Blue Skies"
Nashville, TN -- Mountain Heart, the power acoustic band who has revolutionized music since their creation in 1999 is thrilled to announce their new partnership and an upcoming studio album, their first since 2010! Mountain Heart Entertainment is the new official partnership created after purchasing from former member Barry Abernathy. Abernathy left the band to focus on family, however, fans can still expect him to make some surprise appearances. The band is now officially a team on and off stage. For the first time in the band's 17 year history, Mountain Heart represents a group made up of all equal partners to create and share their music with fans everywhere! Fiddler Jim VanCleve has announced that he will be leaving Mountain Heart, a group he helpd establish almost 16 years ago. Jim has certainly made his mark with this outstanding group of bluegrass music artists and he and the group are seperating on good terms. Jim will keep his fans posted through his Facebook page. Mountain Heart has not announced any possible replacements and Jim will continue to fulfil his existing committments as best he can. Jim VanCleve, founding member of Mountain Heart (fiddle) contracted Dengue Fever from mosquito bites he got from a recent trip to St. Croix and his body is over worked and not fighting the illness properly. Since returning he has suffered extremely high fever (105), severe headaches and body pain in his muscles and joints and a terrible rash over his upper body, all associated with this tropical disease. Aaron Ramsey (the mandolinist for bluegrass artists Mountain Heart) has a new solo release featuring a gathering of outstanding artists that include Tony Rice, Barry Abernathy, David Babb, Ron Block, Tim Crouch, Stuart Duncan, Randy Kohrs, Colby Laney, Jason Moore, Jeff Partin, Josh Shilling, Tim Stafford, Brian & Maggie Stephens, Josh Swift, Ricky Wasson, Patton Wages, and Jim VanCleve. Brian Rittenberry who just made it to Hollywood on American Idol is also on the album! The new release is appropriately titled Gathering. 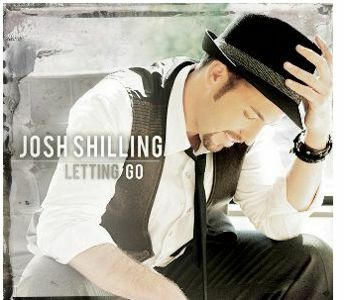 Bluegrass music artist Josh Shilling says, "hey guys, my new solo project Letting Go became available for download at all major download sites July 31, 2012. If you're a download junkie, go check it out on iTunes, Amazon, Google Play, CD Baby, etc or you can order a signed copy of the CD from my website www.joshshilling.com. It took a ton of work to bring this dream to life but I'm extremely proud of Letting Go and the support I've been given. I can't thank everyone enough!"